Come On, America traces the incredible life of former United States Ambassador to Estonia, S. Davis (Dave) Phillips, who early in life faced challenges including a leg amputation, bullies, rheumatic fever, and being held back a year in school. Dave leads his life with hope and optimism through both his personal and business life, facing new challenges and grasping each opportunity with that unwavering view. This attitude led him to many places throughout the world and allowed him to meet national and international leaders. He is the recipient of many awards, but his most treasured is the Choate Seal, which was first given to John F. Kennedy. The broad spectrum of Dave’s personal and business stories constantly entertains readers. Come On, America includes elements of historical relevance focusing on areas such as: the city of High Point, North Carolina; state politics as Secretary of Commerce under Governor Jim Hunt; United States ambassador involving world leaders; and a personal experience of the first international cyber-war including Estonia and Russia. A major influence in the shaping of the International Furniture Market that brings 80,000 visitors to High Point twice a year, Dave’s business acumen resulted in three of his companies being sold on the NYSE. Each new venture widened his scope of business and led him to make a beneficial difference in the city, state, national, and international sphere. He became an admired leader and successful businessman. 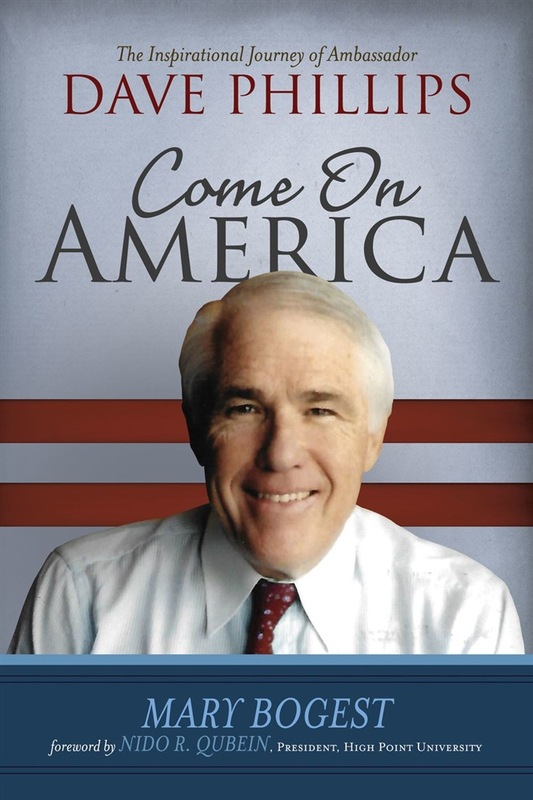 Readers find his journey both inspirational and educational as they discover in Come On, America the qualities and traits needed to be an effective leader and a successful businessman. Acquista Come On, America in Epub: dopo aver letto l’ebook Come On, America di Mary Bogest ti invitiamo a lasciarci una Recensione qui sotto: sarà utile agli utenti che non abbiano ancora letto questo libro e che vogliano avere delle opinioni altrui. L’opinione su di un libro è molto soggettiva e per questo leggere eventuali recensioni negative non ci dovrà frenare dall’acquisto, anzi dovrà spingerci ad acquistare il libro in fretta per poter dire la nostra ed eventualmente smentire quanto commentato da altri, contribuendo ad arricchire più possibile i commenti e dare sempre più spunti di confronto al pubblico online.